The reasons are complicated (even some professionals in the industry don’t get it), but the US stock market and economy are doing quite well once again. In fact, a couple of days ago the Dow Jones hit an all-time record high, meaning that investments across the country are doing quite well. If you don’t have some mutual funds set up, now is the time to hire a financial advisor and get that done. The longer you wait the greater your chances of missing out on this opportunity. Of course, a stronger economy isn’t only good for the stock market. It also helps drive up everything else, from the oil and gas industry to the real estate industry. On top of that, a strong economy generally means stronger businesses, and that’s something the vast majority of Americans can get behind. Thanks to this recent surge to close out the year (all prior to the holidays even! ), there has likely never been a better time for you to buy a business. All of the current indicators are pointing to a continued strengthening of the economy over the next couple of years. It’s quite likely that a change in administration could either be good or bad for the economy in the long run and it’s hard to know which right now, but in the short-term, the next couple of years to be precise, things are going to be quite good. This means that if you’re in the position where you’re able to buy a business right now, you can expect great profits over the next couple of years. At the first signs of a downturn you could turn around and sell that business for much more than you bought it for. Thus, when you combine the profits you’ll make while operating the business with the profits you’ll make from selling it, things will likely turn out very good for you. The key to finding the right business for you to buy is finding the right broker for you to work with. In a state like Colorado, that’s a pretty easy thing to do. For years, Business Broker Colorado has been helping individuals buy and sell businesses. They have a proprietary list of buyers that they connect sellers with, and if you’re in the position right now you can reach out to them and get on that list. 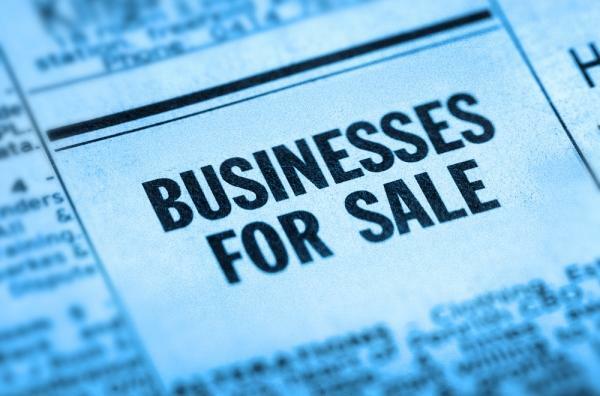 This means that when businesses go up for sale, you’re the first person they contact. They can sit down and talk with you about the kinds of businesses you’d be interested in buying and then reach out to you when such a business hits the market. This is the most streamlined buying process a buyer can have, and it’s also the best way to make sure that you end up with a business in the market you’re interested in buying in. When it comes to a Colorado business broker, you simply can’t do any better than them. Visit their website today to set up an appointment and get started. ← Many Companies Find It Easier to Hire Business Cleaning Services.